From L: NBJ President and Publisher Kate Herman, NASBA President & CEO Ken Bishop, and Tom Starling of Mental Health America of Middle Tennessee, last year’s winner of the Nonprofit category. Photo taken by Nathan Morgan, NBJ. 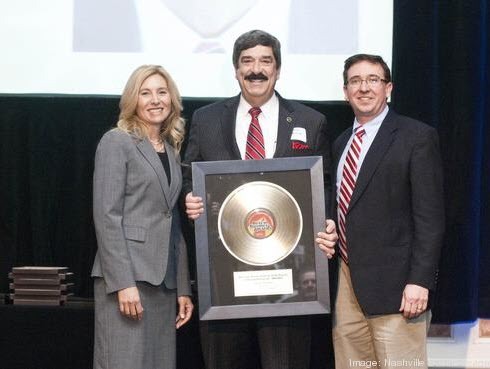 The Nashville Business Journal was pleased to recognize the winners of its 2014 Best in Business Awards during a luncheon at the Loews Vanderbilt Hotel Thursday, March 27. Among the day’s big winners was the National Association of State Boards of Accountancy (NASBA), who won in the Nonprofit category. The Best in Business program identifies companies that set the standard for growth, service, quality, innovation and execution of a superb business strategy. Finalists were picked by a panel of judges, who considered financial data like profitability and other metrics.